Play More Free Multiplayer Shooting Arcades Online! Jewelix - Get occupied into the very eleborate work and create the jewelry! 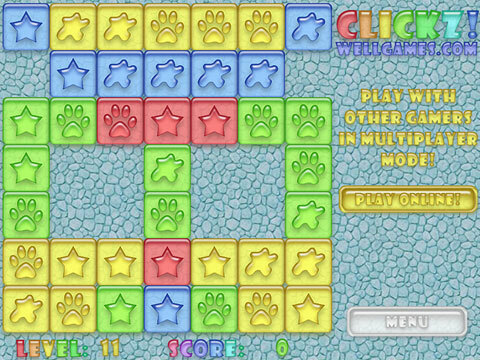 Discover addicting game Clickz! – compete online and become a champion! Clickz! is a Flash & Fresh idea for all fast paced puzzle fans;)! Your task is to have fun and clear the playfield clicking on the groups of 3 or more equal figures and changing the color of the tiles to white. When you match the group of figures – they disappear and the color of tiles changes. Make sure that you have nothing urgent to do before you start playing our addicting puzzle. Good luck and have free multiplayer fun! 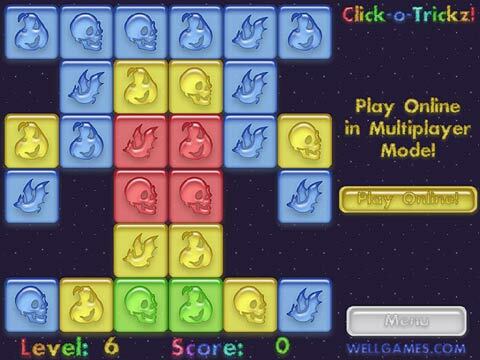 Create festive mood with fun popping game Click-o-Trickz! Meet jolly Halloween in the company of ghosts, bats and spiders. 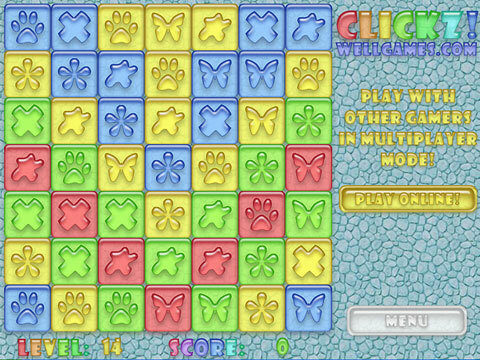 Your task is to clear the playfield clicking the groups of 3 or more equal figures and changing the color of the tiles to white. When you match the group of figures – they disappear and the color of tiles changes. Be quick to outstrip your rival and get both bonus score and witch's sweets as a treat. 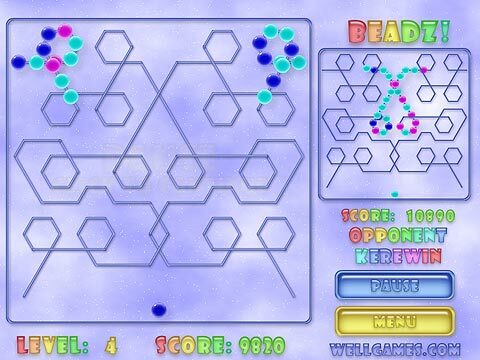 Discover addicting game Beadz! - join an online competition! Beadz! is a free online game. The shine of multicolored beads always pleases eyes. Enjoy the beads rolling down the lines. Shoot them to make sets of three or more of one color, but don't let the chain reach the end of the lines! Meet a great innovation - now the lines on the game field intercross and make a nice labyrinth for the beads to roll in. 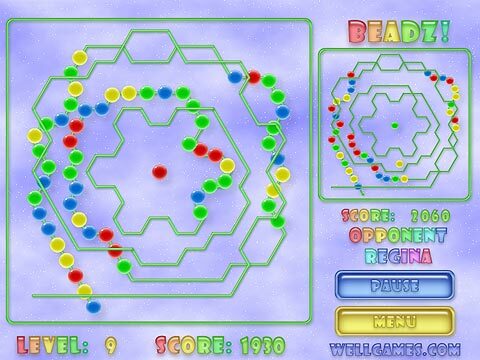 Each level brings you a new labyrinth layout and new colors of beads. Be the first to pass the level competing with millions of players online all over the world in multiplayer mode! 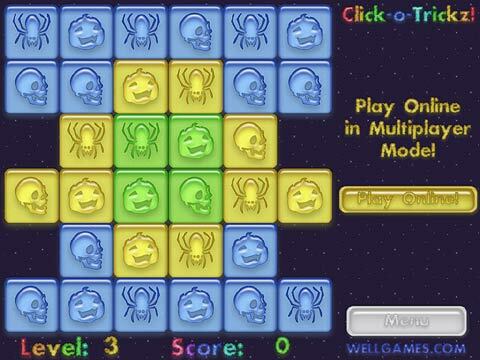 Play online new free arcade web flash game Bubblez! 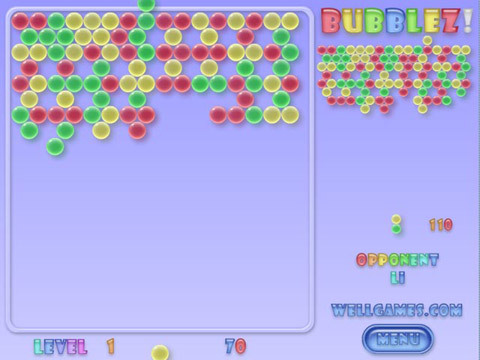 In this bubble game the goal is very easy: you have to clean off the field by matching three or more bubbles of the same color. All exploding bubbles will appear on the field again. Therefore, the only way to clear the playing field and get to the next level is shooting bubble clusters off. If you complete the level before your opponent in multiplayer mode, you'll get his score as a bonus. 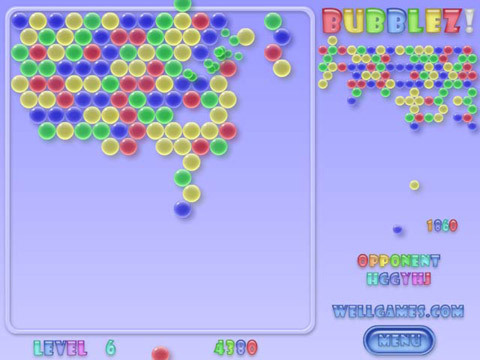 Master your skills and have fun playing a game of addicting action bubble shooter kind online for free! 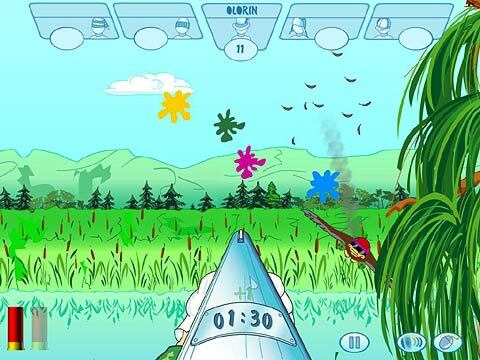 ¡Pruebe nuevos y divertidos disparos Jet Ducks de Wellgames! Un gusto para los aficionados de gráficos de dibujos animados modernos y una mezcla del clásico arcade-disparos. La tarea del cazador es...¡uy! – del jugador es simple: matar tantos patos como sea posible. Pero cuidado – aquellas criaturas también le pueden disparar. ¡Por eso, cargue su escopeta y manténgase firme contra los Jet Ducks! Utilice el ratón para apuntar a las aves y sea suficientemente rápido u otro cazador puede atinar en su blanco en estos divertidos disparos de multijugadores. Bubble Shooter Premium Edition – Premium Game for Premium Players!